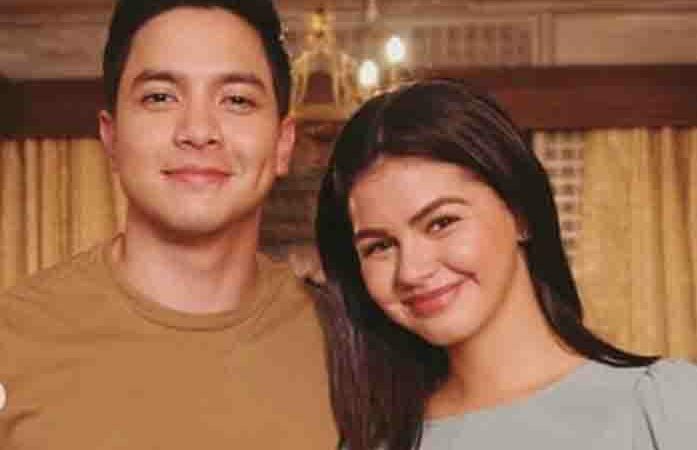 Actress Janine Gutierrez posted a sweet goodbye letter to Alden Richards and to the ‘Victor Magtanggol’ team. The said GMA-7 teleserye ended its run November 2018. Janine played the character of Gwen Regalado. “At first, I was unsure and really nervous but very grateful. And then it turned out that, in a way, Gwen was my very own Mjolnir – something unexpected entrusted to me that ultimately brought me on a great trip/ Thank you to our bosses for including me in this insanely talented cast of the most inspiring people. Direk Dom, Miss Nini, and Miss Mo, you are the best of the best and you have the most amazing team and crew!! Salamat po sa lahat. Napakaswerte namin na napunta kami sa inyo. Direk Jules, napakahusay mo. Salamat sa kwentong ito. To our writers, you taught me so much through Gwen (na minsan talaga’y matigas ang ulo) 😂 She taught me that you can’t run away from your problems. Face your life and all that comes with it – your mistakes, your hopes – head on and heart strong. Always say what you mean. Fight for your dreams, for the people you love, and for your self. When it gets too hard, rest but don’t quit. To anyone going through a tough time – you don’t need anyone to a save you. You’ve always had it in you to save yourself. Masaya akong nakasama ako sa magical adventure mo Panalo ka.